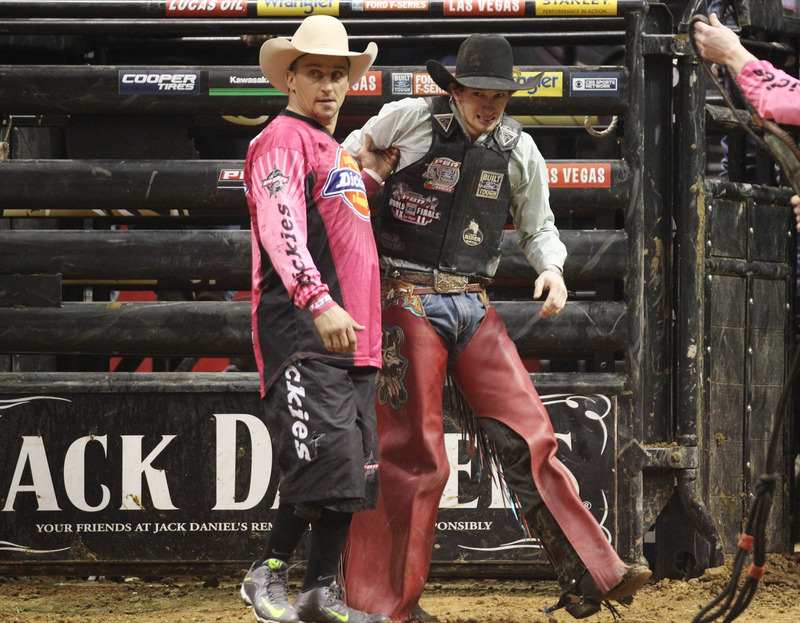 Shane Proctor, the only PBR (Professional Bull Riders) athlete to go 4-for-4 on the weekend, won the Bass Pro Chute Out presented by Cooper Tires on Sunday at Scottrade Center. It was Proctor’s first Built Ford Tough Series (BFTS) win in more than two years; the last one coming in 2013 at the Anaheim Invitational. Proctor posted an 88.75-point ride on Shoot Out The Lights (K-C/Josie McElroy Bucking Bulls) to win Round 3 and added an 89-point ride aboard Cooper Tires Brown Sugar (Dakota Rodeo/Chad Berger/Clay Struve/Julie Rosen) to capture the Built Ford Tough Championship Round in his victory. With a third-place showing in Round 1, a seventh-place finish in Round 2, and a first-place finish in the event aggregate, Proctor earned a total of 755 points toward the PBR world standings. He moved from 23rd to No. 7 in the rankings. Mason Lowe of Exeter was 0-for-4 in his attempts.